Triangle Paws is a digital magazine providing entertaining, informative and inspiring stories about people and pets. Serving Raleigh-Durham-Chapel Hill and beyond. Helping you create a better life for your pet. Pets are important members of your family. You love them and care for them; but did you ever consider gardening for them? Just because you plant and weed and groom your yard for your own enjoyment doesn’t mean that your cat or dog is oblivious to it! They like to relax and play in the garden as much as you do, only in a different way. There is a way that you can create a beautiful garden retreat that both you and your four-legged family members can equally appreciate. Perhaps you have a dog (or two) who loves to run laps around the yard. The grass may even be worn away on this special path. Instead of fighting to repair or maintain the grass here, just go with it and create a track for your dog! This can be done with smooth gravel, splinter-free bark mulch or pavers. To soften the edges of the path, or the spaces between the pavers, plant low-growing perennial ground covers such as Elfin or Wooly Thyme, White or Blue Star Creeper or a miniature Stonecrop Sedum. These cute little plants can handle foot (paw) traffic. Your pet wants to survey and “guard” the yard. After all, it’s an important job! Create a raised area such as a stone outcropping, wooden platform or mound. This can be surrounded at least partially with ornamental grasses that can provide a “secret place,” too. 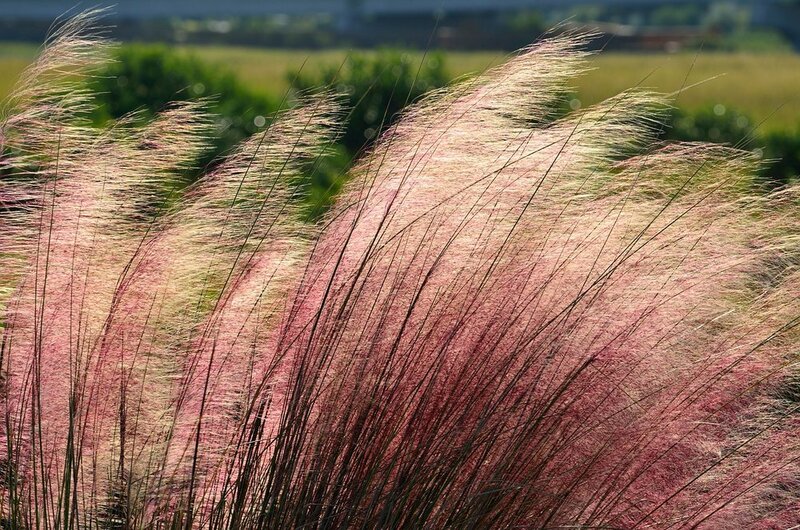 Zebra Grass (Miscanthus sinensis “Zebrinus”), Fountain Grass (Pennisetum) and Pink Muhly Grass (Muhlenbergia capillaris) are interesting and attractive. These grasses can also be used to conceal parts of the dog running path from where your human family members like to relax, if you so desire. Dogs and cats love to sunbathe, but even the most hedonistic pet will want some shade during the hot summer months. Create an arbor of Clematis, Jessamine or Honeysuckle growing on an iron or wooden trellis. If you don’t already have trees in your yard, plant a statement tree that will make a shady spot and look gorgeous doing it, such as a Greensleeves dogwood (Cornus kousa “Greensleeves”), Chaste Tree (Vitex agnus-castus) or Smoke Tree (Cotinus). Don’t forget to set up a nice water station for your pet in their new shady bower! Let’s say you have an outdoor cat who loves to roam and you wouldn’t mind making him or her a special place to keep them close to home. 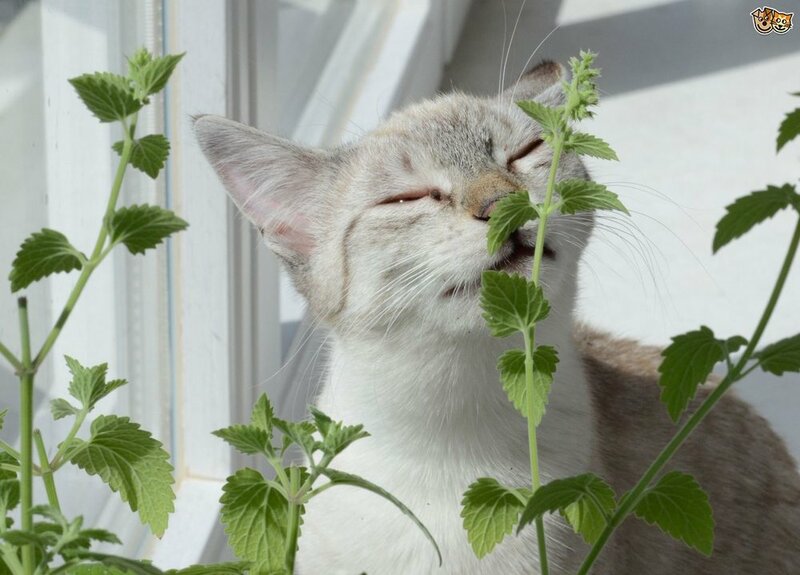 This is easy; as everyone knows, cats adore Catnip (Nepeta cataria)! Did you know that it blooms beautifully in the spring or early summer, as does its more fashionable relative catmint (Nepeta faassenii “Walker’s Low)? Plant lush groupings of spiderwort (Tradescantia ‘Sweet Kate’) and some decorative containers of lemongrass (Cymbopogon citratus). Finally, you’re going to want to avoid growing plants that can be harmful to your pet, whether they like to nibble on the greenery or not. The ideal place to go for this information is your pet’s veterinarian. They know best! Now you and your whole family can have a wonderful time in your garden, enjoying the fine weather and fresh air and admiring the beauty that you’ve so thoughtfully created! Visit Fairview Garden Center at 8224 Holly Springs Road in Raleigh for an extensive variety of plant selections as well as great advice from their garden staff. Click here for a list of garden plants that are and are not safe for pets. For more than 40 years, Fairview Garden Center has provided exceptional plants and flowers in Raleigh, NC and across the Triangle area. Our humble beginnings began with Jo Ann Dewar’s passion for gardening, and she still runs the show alongside her children and grandchildren.